Thinking of popping the question but are a little nervous about buying the right ring? We don’t blame you! Engagement ring advice is hard to come by. Typically, if you’re getting ring advice it’s from a retail jeweller. And let’s be honest, they’re probably trying to sell you the most expensive engagement ring. We’re here to help you! We have no jewelry stores so consider us an unbiased third-party, an older brother or sister if you will, helping you through the engagement ring search. 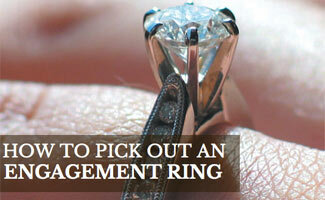 This is our engagement rings 101 article and we consider it the ultimate engagement ring guide. So without further adieu, let’s dive in! An ideal diamond color would be colorless aka the absence of color. 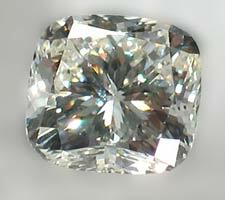 A structurally perfect and chemically pure diamond has no color, similar to a pure drop of water. Diamonds are graded by the Gemological Institute of America, Inc. (GIA). The grades range from D to Z, D being the best grade (colorless) and Z being the worst (a higher presence of color). Meaning that diamonds with a D grade are more expensive than diamonds with a Z grade. Does that mean that you have to buy a diamond with a D grade? No, some of the hues are so subtle that they are invisible to the untrained eye. Many jewelers only carry the higher grade diamonds, which are typically considered to be D thru M.
Diamond clarity has to do with the diamond’s internal characteristics known as inclusions and the external characteristics, or blemishes. A diamond’s clarity is determined by the size, number, relief, position and nature of these characteristics as well as the overall appearance of the gem. There is no such thing as a perfect diamond, you might as well know that or you’ll never stop searching. However, the closer to perfection, the higher the value. GIA’s clarity scale ranges from Flawless (FL) to Included (I1, I2, I3). Flawless means there are no inclusions or blemishes visible under a 10x magnification. Included means the inclusions are very clear under a 10x magnification. Here is a definition of the other categories and grades. Does that mean you have to buy a diamond with Internally Flawless clarity? No, to the untrained eye a VS1 and SI2 may look identical. However, they are quite different in price and quality. How Does The Diamond Cut Affect The Quality? The cut is what makes a diamond sparkle. The ability to transmit light is what aids in this. What makes a “perfect cut” diamond are its proportions, symmetry and polish. Determining a diamond’s cut grade is the most difficult grade to analyze since the grader must evaluate each size and dimension of the sides to the diamond. Other items taken into consideration for the diamond’s cut grade are the design and craftsmanship. This includes its weight in relation to its diameter, girdle thickness, symmetry of its facet arrangement and polish quality on those facets. There are 5 grades ranging from Excellent to Poor (Excellent, Very Good, Good, Fair and Poor). Again, does that mean you have to buy an Excellent cut diamond? No, you can get a lower cut diamond and it will still be beautiful. Unless your soon to be fiancé has been dropping hints about what they want 😉 and you can afford it. 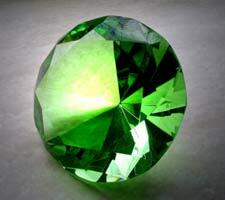 Cut is often thought of us the shape of the diamond (round, oval, princess, emerald, etc.). But there is so much more to it. This video does a good job explaining the elements that define a diamond’s cut. What About The Diamond Carat Weight? A diamond’s carat weight is how much the diamond weighs. Carat is a measurement defined as 200 milligrams (1 carat total weight equals 200 milligrams). Each carat can be divided into 100 points. 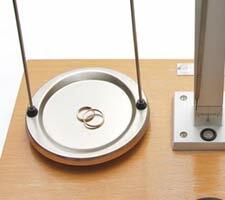 This lets the measurement be determined precisely to the hundredth decimal. Again, diamond price increases the higher the carat weight because larger diamonds are more rare which makes them more desirable. So, What’s the “Lowest” Grade Diamond I Could Get Away With? It is common for most people to want the biggest rock with the most diamonds on their ring made of the highest quality. Now, we’re not saying you should buy your ring according to this because each person has their own likes and some may find that to be gaudy, insanely expensive or simply unnecessary. However, if you are trying to get the biggest diamond with what “appears” (to the untrained eye) to be as the best ring, here are some guidelines we have created which you can go by. Conflict diamonds are diamonds sold to fund armed conflicts and civil wars. Profits made from the diamonds are worth billions of dollars and have been used to cause wars in Angola, Sierra Leone and the democratic Republic of Congo. These wars have cost millions of lives. How Do I Know I’m Not Buying A Conflict Diamond? In 2003 the Kimberley Process was introduced to reduce the number of conflict diamonds. 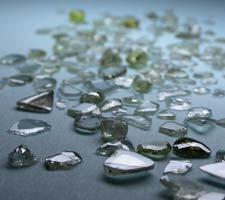 This process implemented requirements on parties to certify that rough diamond shipments are conflict-free. Many jewelers will have “conflict free” written on their site and if they don’t feel free to ask them about it. That way you can confirm that you are not paying for something you do not want to be a part of. How Much Should I Really Spend On An Engagement Ring? Many people say that you should spend 3 month’s salary on an engagement ring. That’s bogus. Don’t let anyone tell you what you should spend on an engagement ring. It’s your money, you know how much you have and you know what you’re comfortable with spending. And honestly, it shouldn’t be about the ring at all. It’s about the love between you and your soon to be fiancé. It’s not about the size of ring or the price tag. It’s about the everlasting love between the two of you. Just remember that while you’re searching for the perfect engagement ring. Ready to Buy An Engagement Ring? You’ve done the research, now it is time to buy! Check out our Buying Engagement Rings Online comparison article to find the best vendor for your needs. Still confused? What questions do you have about engagement rings? A friend of mine is getting ready to pop the question to his girlfriend, but he wasn’t sure how to find her the right ring. I love that you say to take into consideration how the light reflects in the diamond. Since she loves the look of gems, it would be nice to have that option. When it comes to engagement rings, the first thing that comes to your mind is probably “diamond”. Most girls have so much heart for diamonds and there is no denying it. Unfortunately, not all men can afford this precious stone. However, there are some practical alternatives to a diamond that you can actually give to your lovely partners – for example, would be a family heirloom. Try to ask your mom or better yet your grandmother if there is a family heirloom they would want the next generation to use – that is for your future bride. No matter how the ring looks like, a family heirloom would significantly impress your lover, as well as add more value to it. That’s a great suggestion Patrice! Thanks for the comment! I didn’t know that diamonds had color to them! My wife’s ring that we got from my grandmother always looked like it had a little bit of a blue glow to it and now I know why. I’ll have to see what other unique traits that diamond has!